Note: This homily will be delivered in a few minutes: I have to revise the previous post so it fits the congregation — high school students who think they might have a Jesuit vocation. There are many questions in our lives whose answers lie in the word, ‘forever.’ And therefore, it is important that we may believe in the ‘forever’. Why do we have to keep the peace, when the world is at war? Why do we have to keep our emotions at bay, when our world is chaotic? Why do we have to move on with our lives, when our family is dysfunctional? Why do we continue to love someone, when we are hurt by them? Why do we have to stick to our friends, when we are often rejected by them? And we all know that in our earthly lives, we will not achieve a permanent peace and order, or finding a certain direction, or finally settling on who and what we are, or definitely discovering the person for us and at the same time, we become the person meant for them. We use the word ‘forever’ when we have found what or whom we wish to be in union with time without end. Forever is an ‘aspiration’ — because at no one point does permanence becomes an accomplished fact. In other words, we work out our ‘forevers’, we continually keep the peace, developing our emotions, trying to move on with our lives, loving someone or our barkada. There is no one point when everything is perfect. When we think of the resurrection of the body in the readings this Sunday, it reminds us that there is an end to all our aspirations. Development and process will come to its completion, perfection and end. The belief is simple: when God created the universe, everything was good and perfect. But our sins disfigured and spoiled our perfection. So in our resurrection, everything will be restored to perfection and goodness. Thus, there will be permanent peace and order. We will not experience pain and suffering (this is called, impassibility). We will not be lonely, because we will have not just someone, but everyone; all will be perfect friends. Come to think of it, if there is no ‘forever’, why love? Love has with it the seed of forever. Forever is made possible because God granted us the gift of the resurrection, of eternal life. What is vocation then? It is working for everyone’s “forever”. 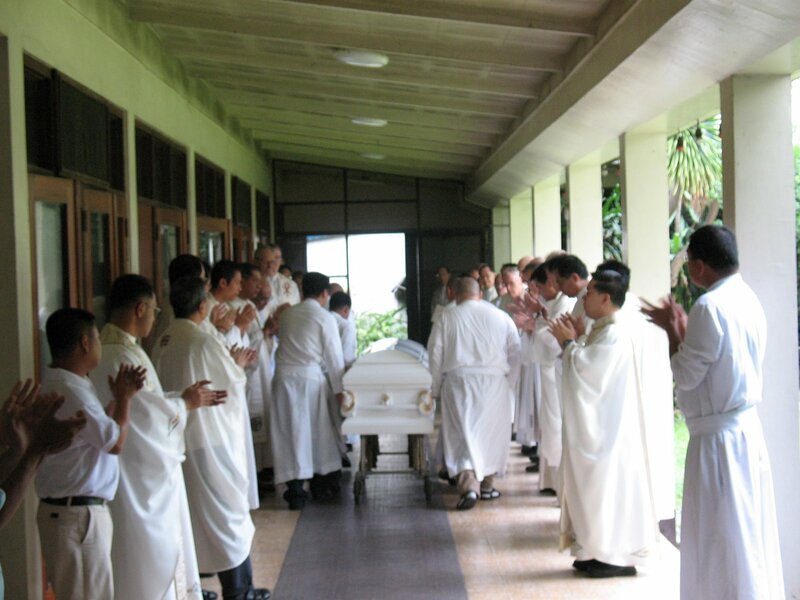 * One of the things I find meaningful in Jesuit funerals is this: we clap our hands as the casket of the deceased Jesuit moves out of Loyola House. The applause is for a job well done. Incidentally, Fr. Johnny Ledesma SJ died today.